Laser engraved 1st Birthday personalised solid oak 5 x 7 photo frame. 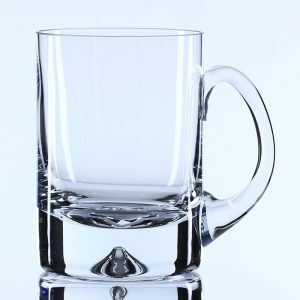 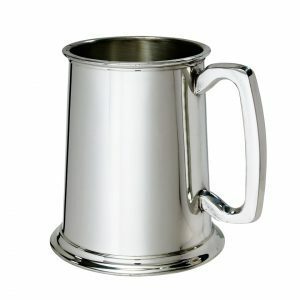 Available in natural oak and a whitewash finish for a lighter look oak. 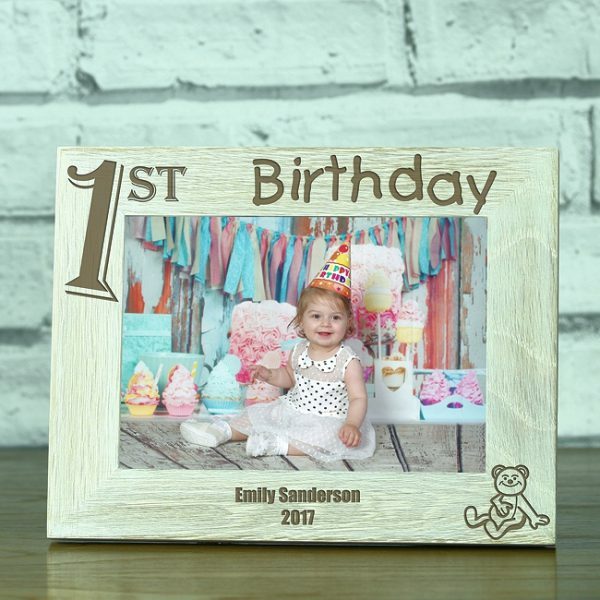 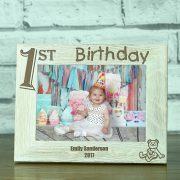 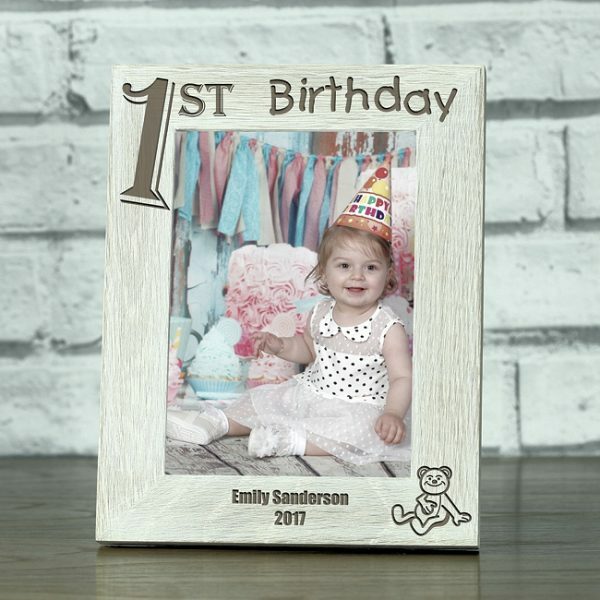 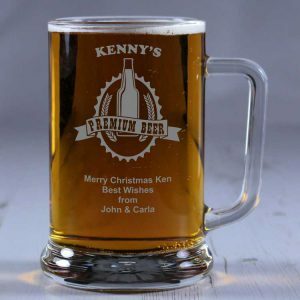 Capture that moment of joy from your baby boy or baby girl’s 1st Birthday with a unique personalised solid oak photo frame. 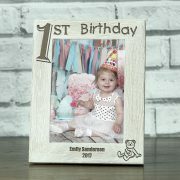 This beautiful whitewash finish frame will make an everlasting memory of how special your child is and always will be. 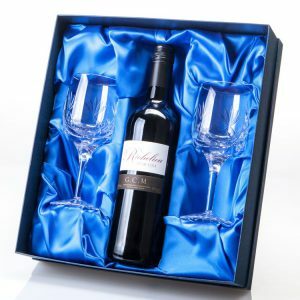 The top of the frame is laser engraved in large text ‘1st Birthday’ and in the bottom corner a teddy bear.